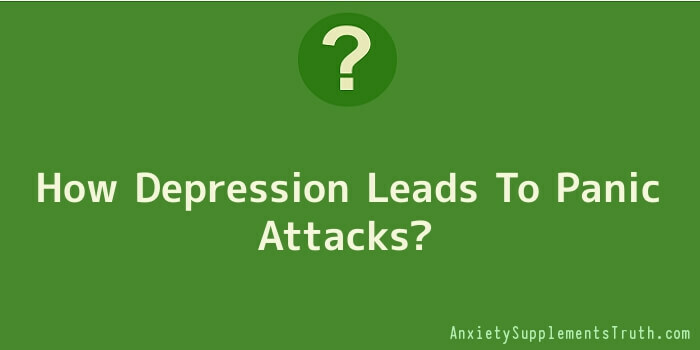 How Depression Leads To Panic Attacks? Once in a while, you will find yourself feeling the “blues”. It is a normal part of everyday life. However, not all of the low feelings can be considered as normal. Depression is a condition that is more than just feeling the blues or feeling down now and then. Clinical depression is something much more serious than that. Depression is considered a serious psychological disorder that will not just go away on its own. The disorder needs to be properly addressed and treated. Oftentimes, people who are suffering from depression will need to deal with other forms of mental and psychological disorders. One particular disorder is anxiety. There are a wide variety of anxiety disorders that are often experienced by people suffering from depression. One of the most debilitating forms of anxiety disorders is Post-Traumatic Stress Disorder, more commonly known as PTSD. Post-Traumatic Stress Disorder is a kind of anxiety disorder that often results from when an individual experiences an extremely traumatizing event. Examples of such an event could be the onset of a natural disaster, witnessing a major accident or being a part of a war. People suffering from Post-Traumatic Stress Disorders and other anxiety disorders often find themselves reliving these traumatic events through the form of flashbacks, memories, and nightmares. In some cases, certain events and situations that are similar to the setting of the original traumatic event can be enough to cause the person to relive these life-altering events. It is for this reason that people suffering from depression and anxiety are more susceptible to experiencing panic attacks. A panic attack, according to the American Psychological Association, refers to an event whereby an individual is suddenly gripped with an immense feeling of anxiety, distress, and dread. Panic attacks may last from a few second to a few minutes. Stress is considered as the primary cause of panic attacks. People who are suffering from depression and anxiety are those who are unable to effectively cope with stressful situations and events as a result of their condition. On top of that, people who have been diagnosed as suffering from various anxiety disorders such as Post-Traumatic Stress Disorder are more prone to worry in the first place. Depression has also been found to cause panic attacks because of the negative outlook of the individual. A person suffering from depression tends to feel extremely overwhelmed by the situations and events that they come across. As a result, they will often feel helpless and find it hard to think clearly. These attributes can cause a heightened level of stress and result in the onset of a panic attack.